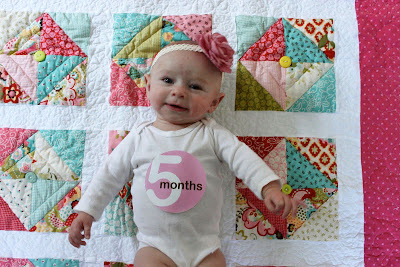 For Ellie's first birthday party, I put together a decor item with photos from Ellie's monthly photosessions. I'll be back with photos of the party and decor soon (babies + cake = awesome), but in the meantime, here's a little "Ellie through the months"! 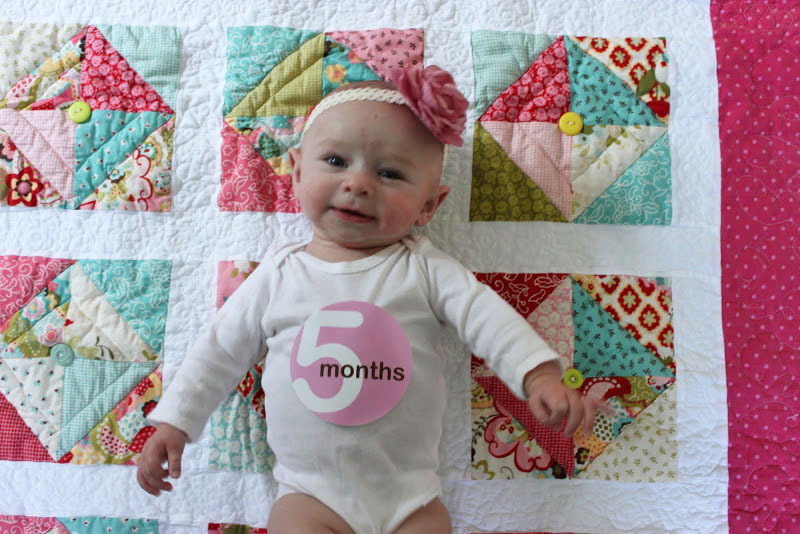 The adorable quilt was made by the talented Holly. What's changed the most for YOU this year? I'm here to show you my Write. Click. Scrapbook. February layout! What, you ask? A real live WCS layout? Yes, it's been a while, A crazy few months. But I was thrilled to snag a few minutes to whip up a page about "Conversations." While our Ellie may not talk much yet, she makes herself very clear. And whenever her daddy walks into the room, she literally jumps for joy. I tried to capture the enthusiasm of her greeting with this layout (made from a Studio Calico kit, but Lord help me if I have to remember which one). In other news, I am currently finishing up the TWO WEEKS FROM YOU KNOW WHERE. They involved a work training program, a first birthday party, a panel presentation, Shabbos prep, and not a whole lot of sleep. Looking forward to normalcy returning! What's going on in YOUR world today? And, to see the rest of the WCS gallery, go here!